Racine hotels welcome visitors to scenic Racine County on the shores of Lake Michigan with a wide selection of accommodation choices ranging from full-service major hotel chains to budget motels. You&apos;ll even find bed-and-breakfasts offering many comforts of home and operated by families eager to share their culture and all the things to do in Racine WI with their guests. 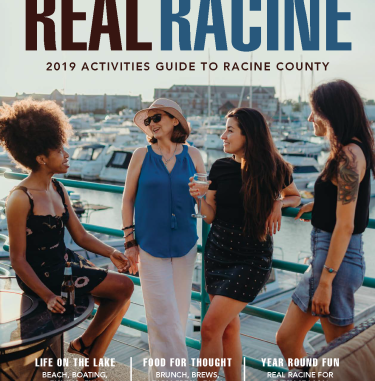 Racine Wisconsin hotels cater to the business traveler, Wisconsin convention delegates and vacationers visiting to enjoy the rich Frank Lloyd Wright history, the beauty of North Beach or one of the many festivals Wisconsin has to offer. Outdoor enthusiasts not looking for traditional accommodations from Racine hotels can take advantage of camping from mid-April through mid-October. For the convenience of campers, the Real Racine Visitor Center takes campsite reservations by phone or by using the online campsite application. Racine Wisconsin hotels look forward to welcoming you to this Racine County community steeped in Frank Lloyd Wright architecture and history and versatile Wisconsin attractions on the shores of Lake Michigan.